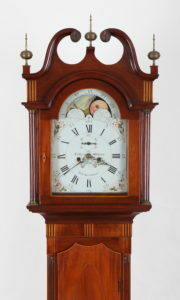 High style Federal inlaid mahogany tall case clock made by Leslie & Williams. 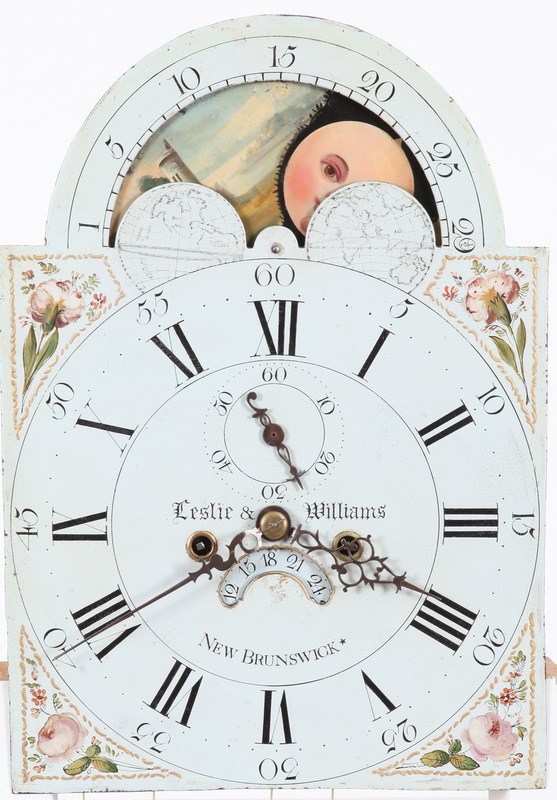 William J. Leslie and Benjamin Williams, the brother-in-law of clockmaker Aaron Lane) were in business in New Brunswick from 1791 to 1805. The case housing this movement was likely from Elizabeth Town from the shop of Ichabod Williams. 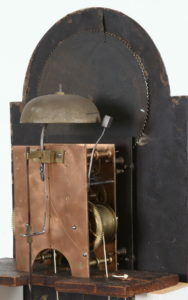 Note the step molded base, quarter fan inlay, and double peaked shaped waist door. William J. Leslie moved to Trenton around 1800 and continued on his own producing many fine examples using cases from the Delaware Valley. 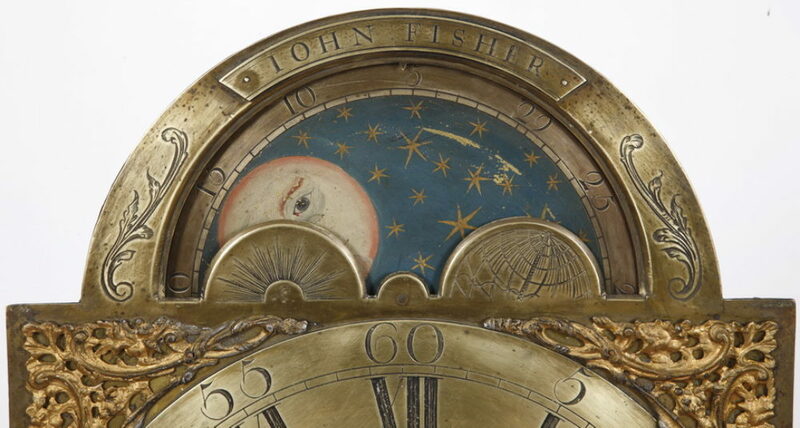 The clock in this example illustrates a locally made brass eight day striking movement coupled to an English painted iron dial. Note the “reddish” color to the brass plates indicative of the high copper content typically found in Early New Jersey handmade movements. 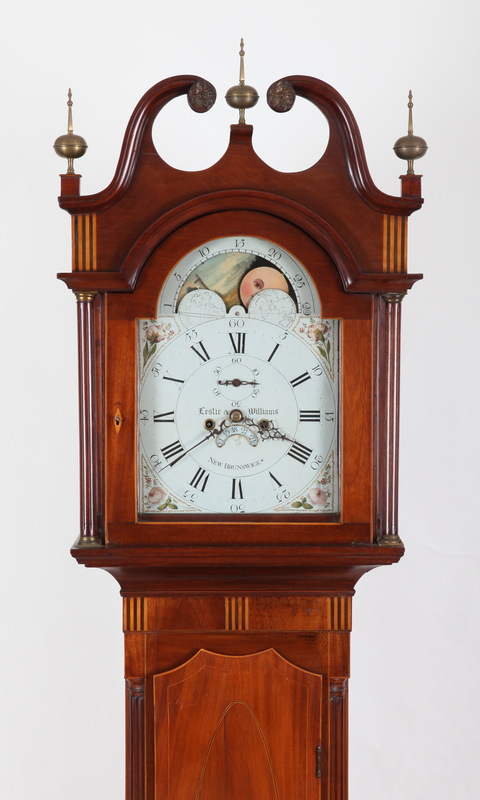 The clock stands at just under 96 inches tall and an excellent example from this clock making partnership from circa 1800.